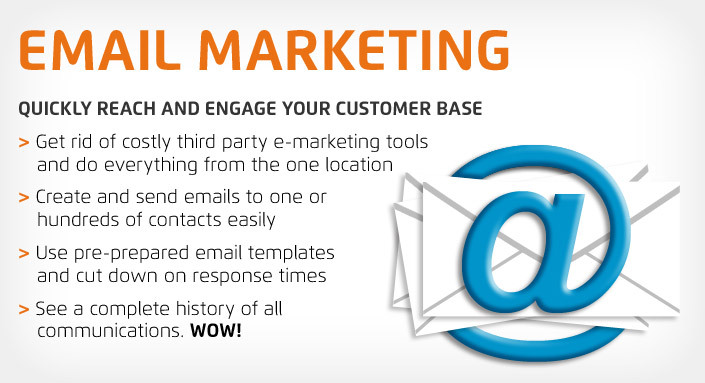 Email Marketing is the powerhouse selling secret that very few businesses do well, and even fewer do it consistently. No matter what you’re selling, email marketing is a cost-effective way to advertise or promote your product to thousands of potential customers. 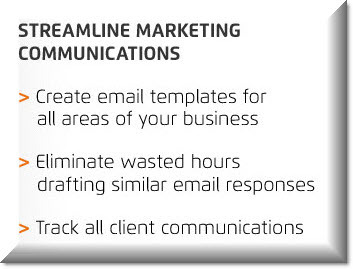 Through a compelling mix of graphics, text and links, email marketing brings your business message directly to prospects. Simply select an email template, or create a new one, select a group of contacts and modify the email before sending it to the nominated addresses. Mail merge names and client details into your mailouts. And you can even make an empty email with just your signature as a template. Then you can send 100% custom emails to 1 or many contacts. No need to export your contacts to a third party bulk email provider. You can do it yourself, using the GTP HUB. Many computer-based CRMs fall short because their ISP can put a block or a ban on the system when too many bulk emails in too short a time span. However, cloud-based CRM solutions like GTP HUB are set up specifically to allow emails to be sent to large numbers of addresses. If there is an unusually large database, we can integrate the database seamlessly with specialised cloud providers to provide a very high level of deliverability. Email marketing can be so much more than just text. You can send rich media formats with images and graphics that give your product or service so much more depth, texture and impact.